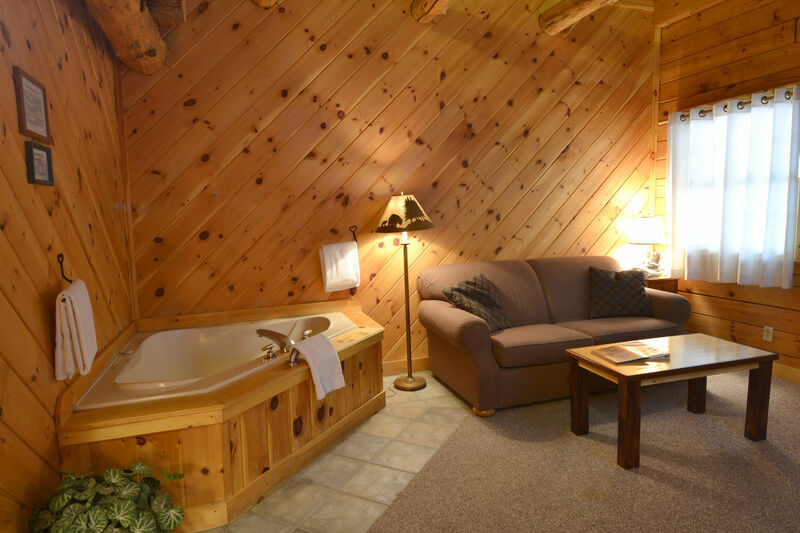 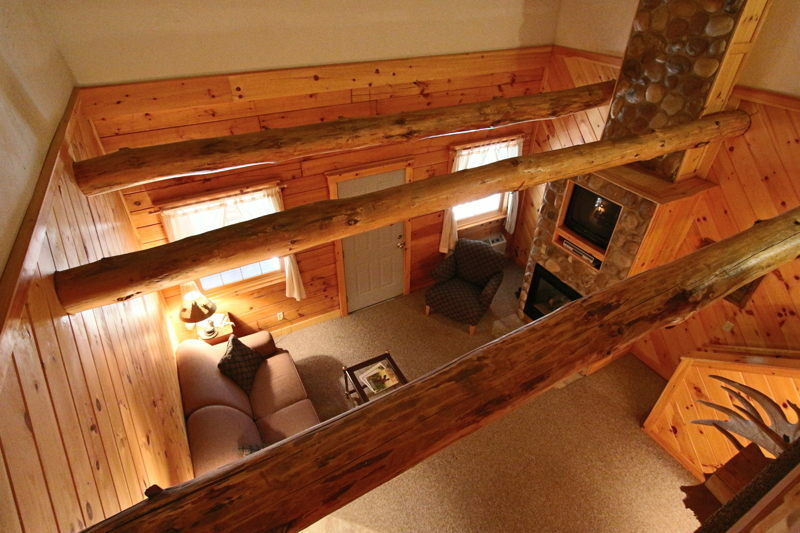 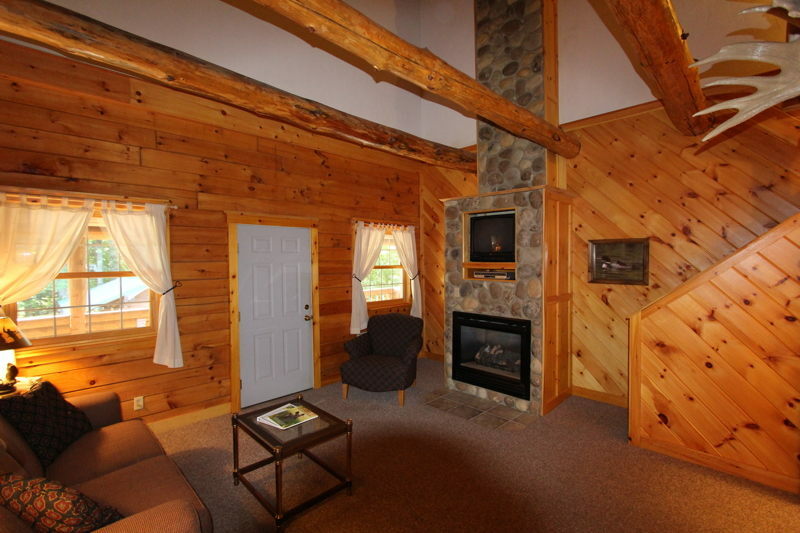 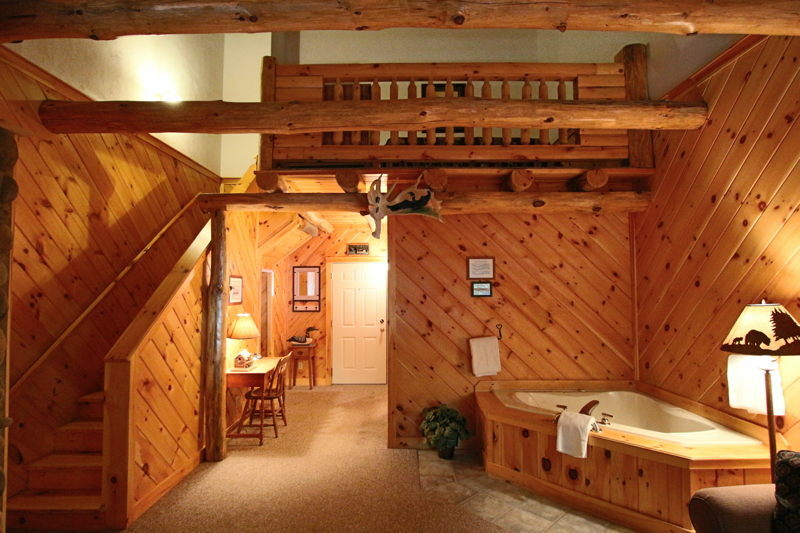 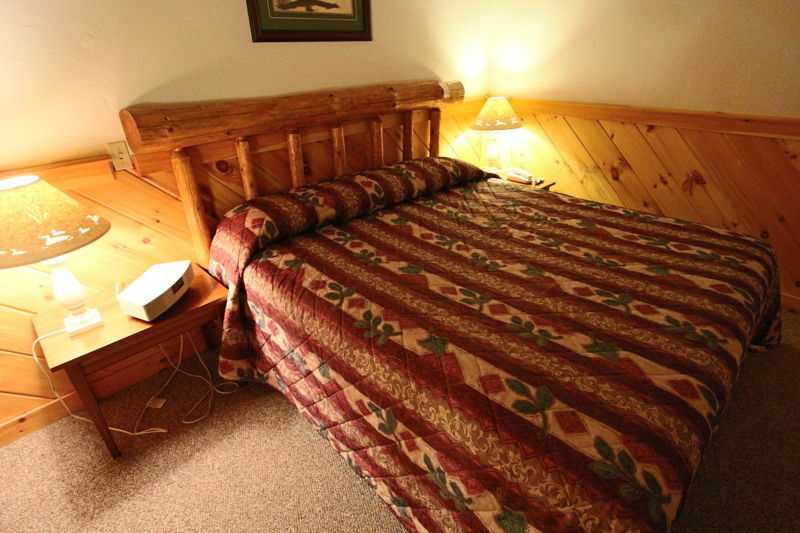 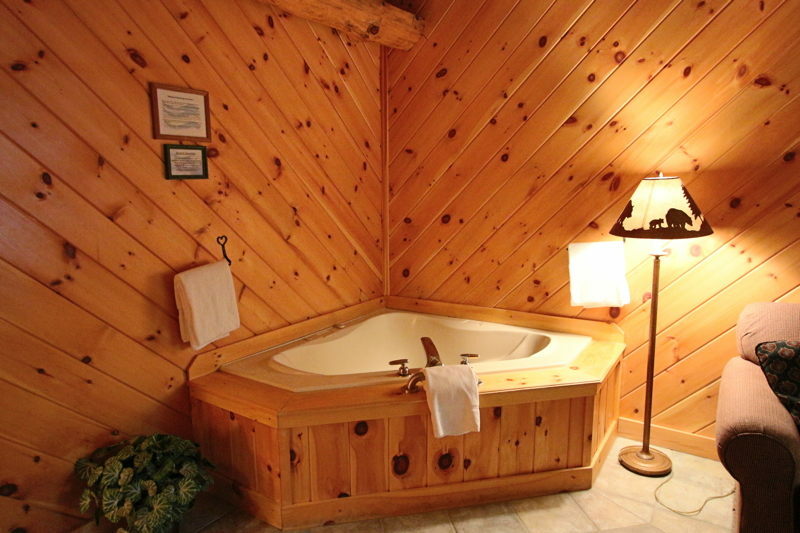 We offer two romantic Jacuzzi Loft Suites, both on the second floor of our adult only lodge. 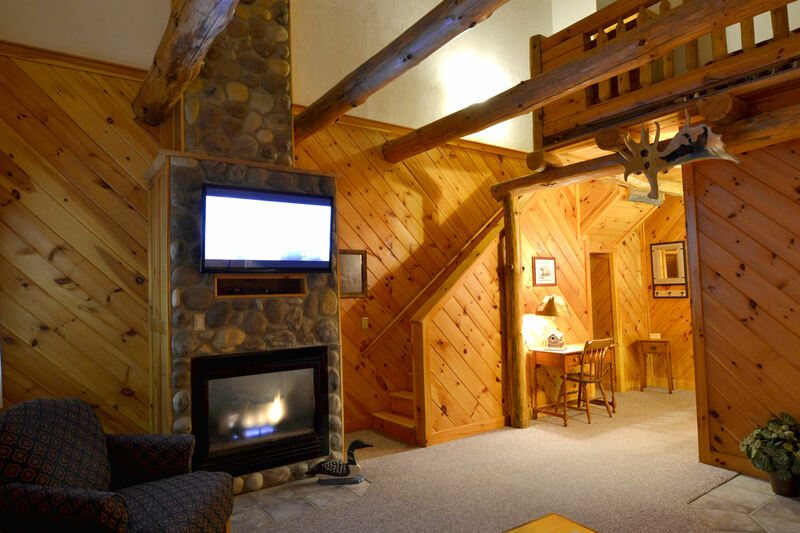 These strikingly beautiful suites are each arranged with high ceilings and log beams overhead and a stairway up to the intimate seclusion of a sleeping loft. 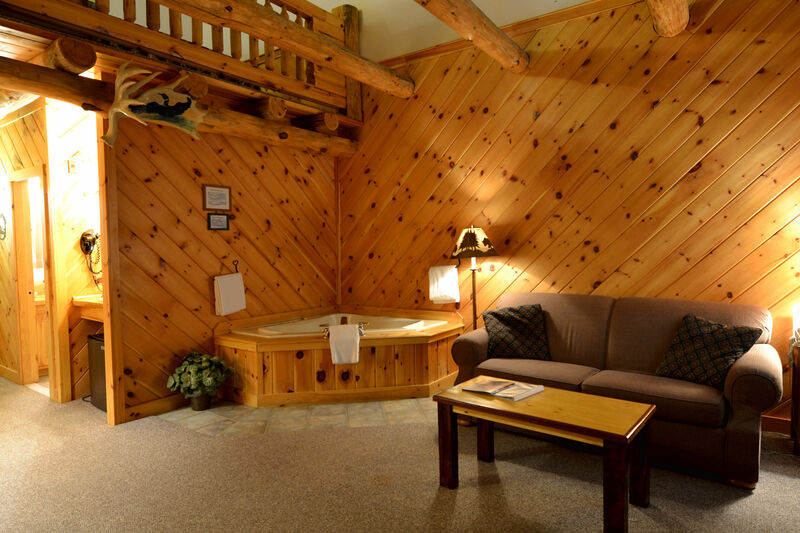 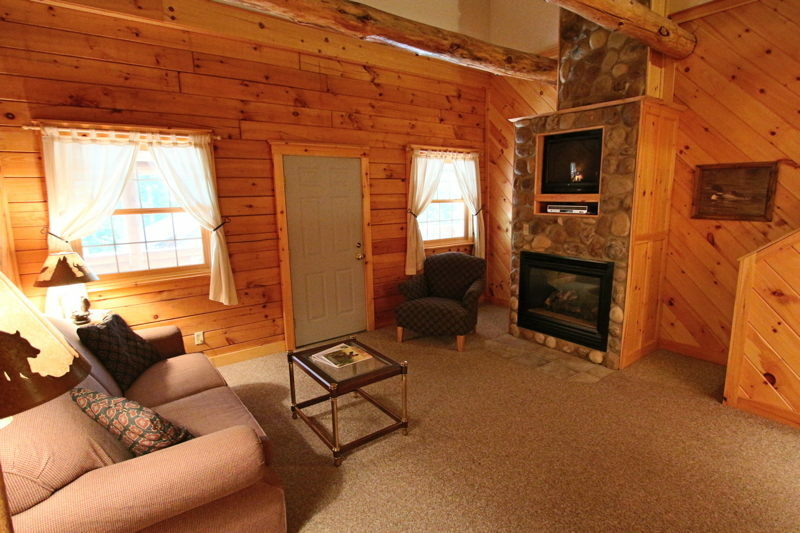 Enjoy the White Mountains region's hiking or canoe down the Saco, or hit the shops in North Conway and Jackson during the day; then return to a cozy fire or refreshing air conditioning while in the Jacuzzi. 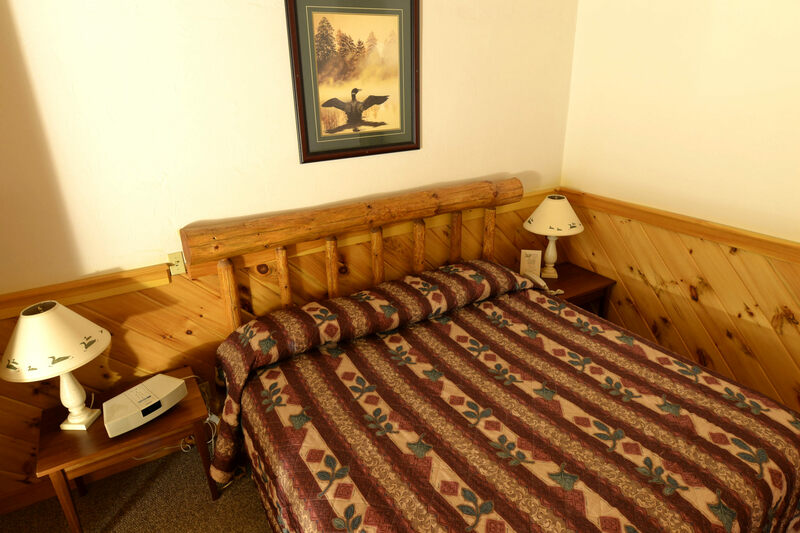 Tuckerman's Restaurant & Tavern is on the other side of the street with the Inn, so it's just an easy stroll back to the peace and quiet of the Lodge. 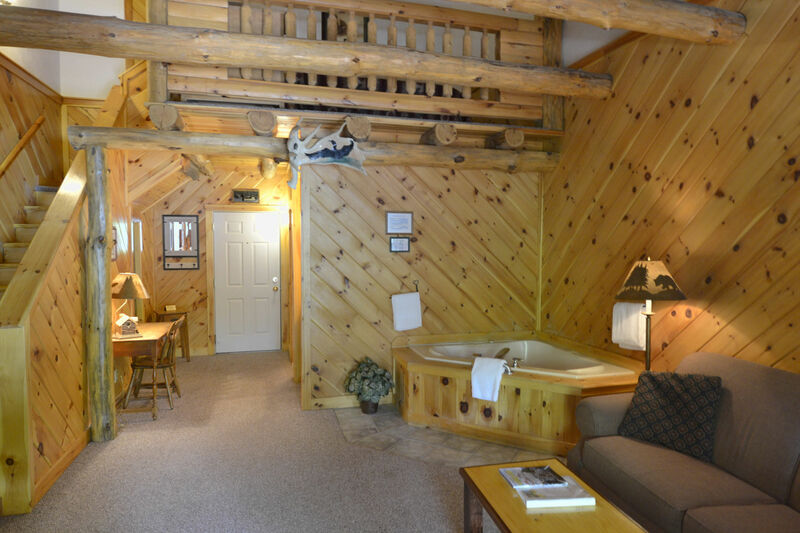 Jacuzzi Lodge Loft Rates: $159. 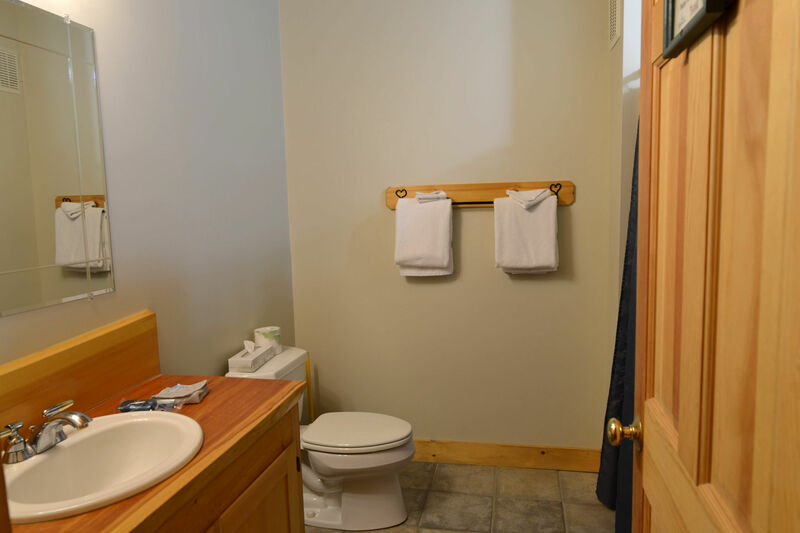 - $269.